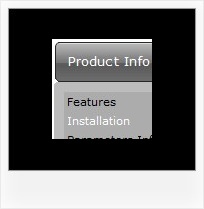 Q: I've browsed your product, and I'm trying to determine if there is an existing template that would support a vertical flyout menu, where the static menu is one button, but when clicked on, it lays out 5 additional buttons in a straight line horizontally to the right of the static button. Is this feasible to create with your product with relative ease, and if so, what's the easiest way? Q: I can't find an instance of your java pop menu that can lay over top of a flash object without making the flash object disappear like your demo. Does yours or doesn't it do the same thing and if so, where is there an example? A: Deluxe Menu overlaps flash in all browsers. Q: How woud I make all the sub-menu’s height and text smaller in the css dhtml menu? 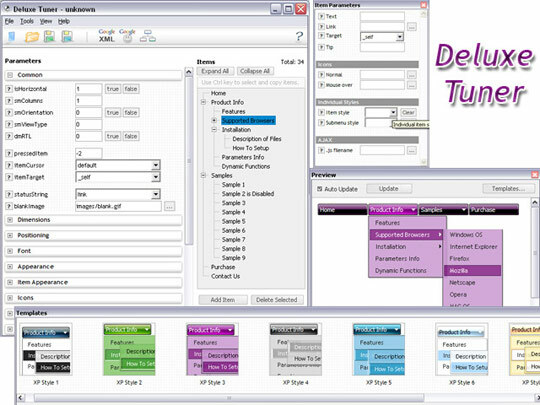 A: You can create Individual Item Style and assign it to each item insubmenu. you can also use standard <br> tags.